I am noticing my swara since few days. I take a note right at the time of sunrise. And few more times in the day. I have noticed that during the sunrise, some days it is as per the tithi. but some days it is not and even if I try to change it, it does not change. During the day, i have understood that most of the times it is surya that is active. I remember you said that chandra should be active during the day and surya in the night. So what should i do to correct it. Although i try few methods to change but it does not change for a long time. And how do i ensure that the correct swara is active during sunrise. This is almost a common query, that all the new practitioners and enthusiasts of Swar Vigyaan have, that Swara is not according to the tithi. There are few reasons for this. Although I did share in the class, about how we can predict about our coming day, paksha, month and even year by reading our Swara during sunrise. But I had also mentioned, to predict correctly, we need to achieve proper working of the Swara. When the swara is not according to the tithi, the first thing that should be attempted is to change the swara. This can be done by any of the method I had taught during the class. As you mention, that even if you try to change the swara it does not change and you also share that most of the times it is the surya swara that is active, so let us understand what can be the underlying causes for the same. The first point to understand here is that there is certainly some problem/issue or disease. It can be on mental level and/or physical level. So try to contemplate on the following pointers. First step is to understand the health of your respiratory system. It means right from the nose to the lungs. Nose is a very important organ when it comes to understanding of the swaras and so its upkeep is very much necessary. Have you ever suffered from sinusitis, or currently are you having blocked nostrils or nasal passages. Also understand if there is unusual dryness in the nostrils? Do remember to do Jal Neti every morning, it will ensure you have clear nasal passages. Applying ghee (clarified butter) in the nostrils once daily will be helpful if you experience dryness in the nose. Also be sure of any anatomical issues like nasal septum deviation etc. There can also be some swelling in the throat or nasal area. If you are suffering from any of the above issue, proper treatment should be taken. Problems with digestive system actually reflect on the overall health of our body. If you study and correct your swaras daily, you will soon realize that they are first ones to tell you that there is some problem with your digestive system. Over active pingala nadi or surya swara, can mean too much heat in the body. It can be reflected as hyper acidity in the system. Too much toxin buildup in the body is also a cause for overactive surya swara. This is also an important but many times overlooked cause for disturbed swaras. Overactive surya swara can simply mean that nerves in the left side of your body are weak. You must have noticed yogis sitting with a straight back and maintain the graceful posture for longer period of time. It has a reason behind it, when you sit with a straight back, you actually let proper functioning of the nadis to happen. Even a little bit of bent on either sides, affect the subtle nadis and that can be easily understood by reading the swara. Do you find yourself bent mostly towards your left side. Suppose you sit for longer periods of time, which side do you bent to? If you are into any spiritual practice, especially mantras.. notice which mantras you are chanting because certain mantras (the most potent of those are of Agni, Surya, Narsimha and Hayagreeva) tend to increase fire-activity in the body thus disrupt the swara cycle. Tattvic imbalance is another factor which come in the way of restoring normal swara cycle. In our lineage for the uninitiated ones we suggest Panch-Mahabhuta Shakti Kriya for this issue. Nadi-Shuddhi is not just desirable but mandatory for achieving perfection in Swara Yoga discipline. Anyone who wishes to achieve greater success in Swara Vigyaan must conduct oneself through the Nadi-Shodhan practice on daily basis because it is a Complete Wellness Programme in itself and removes all diseases from body. Weight shifting is general phenomenon that impacts swara cycle. Notice which leg do you tend to put your weight on, when standing for long time? Which side of the body do you use more? As you will answer these questions you will find insight into functioning of your swaras. Further any infection, pain or even dental filling in your left jaw can trigger surya swara dominance. Once you are able to understand the underlying cause, for one swara dominance and rectify it, the functioning of the swara according to the tithi during sunrise will also start happening. Finally, I would add a word of caution here. We tend to think about our bodies like machines, and feel that just tightening some screws here and there is going to heal it. You should understand that your body is a play of subtle energies and your lifestyle, emotions, situations has caused wear and tear to your body over many years, so it will take time in bringing harmony and balance in it. If you do not take care of these minute things it may not be possible to bring perfect balance. If you continue having erratic lifestyle (includes sleep cycles, food quality and timings, exercise, pranayama and of course stress) there is less hope. So minimize the damage you do to your body and experience the wonderful support of swaras in your life mentally, physically and spiritually. Ma Shakti Devpriya is a Tantra Master in Krama System, Founder of 'The Shakti Multiversity' and non-profit 'Sacred Association for rejoice and Love'. 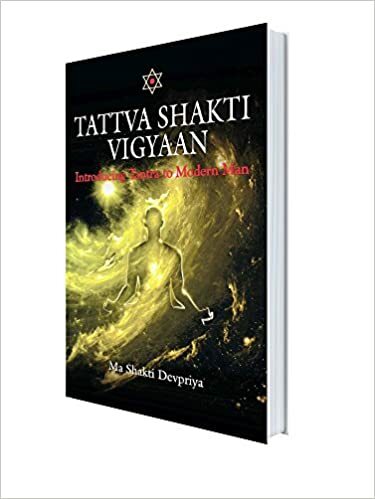 Her book on Tantric Spirituality "Tattva Shakti Vigyaan - Tantra for Modern Man' is the best-seller at Amazon in its category. She along with her beloved consort Master AD takes workshops on Swara Yoga, Prateek Vigyaan, 5D Shakti Healing, Panch Mahabhuta Shakti Kriya and also initiates sincere seekers in Tantric practices through Tattva Shakti Vigyaan deeksha. If Sri Vidya is the highest Sadhana of advait bhrahman in personified form called – Sri MahaTripuraSundari.. RajaRaajeshwari, Lalitamba, Parvati then Saundarya Lahari is the book of highest order on this tantric way of worshiping and igniting the Shakti in one’s own body and mind. There are many systems of worshipping MahaShakti across Tantric traditions. Majorly three geographical regions on the map of India or Bharatvarsh can be pointed to when it comes to three distinct approaches in the worship of Supreme Mother. The regions are Kolkata that includes Kamakhya tradition (Eastern Part), Kerala (Southern Part) and Kashmir (Northern Part). Instead of understanding the differences and different nuances of these distinct approaches of Devi worship it is best for us to understand that they are following the same SriChakra Sadhana everywhere. When it comes to Sri Vidya Sadhana, Adi Sankara’s work in the form of Saundarya Lahari is pivotal to every approach, every aamnaaya (आम्नाय ) and every gotra or division on the basis of rituals i.e. Kaula, Mishr or Samaya because it basically enshrines complete Sri Chakra in it. It also has many powerful Mantras of SriVidya tradition including the most revered and sought after mantra called ‘Shodashi’. For your curiosity the very first verse of this scripture has the highest of mantras in Sri Vidya. But all these things are embedded in Saundarya Lahari in coded form to save it from misuse and abuse. I am sure each one of you shall benefit from these talks of Acharya ji. Rest assured you will be able to pick up only as much as you are capable of and there Master can’t help. Your devotion in your teacher and your attitude is responsible for your ascension. Corrupt vision of a disciple corrupts his/her whole journey.. and the most susceptible you are in your dwait Buddhi for if you don’t see Shiva-Shakti in your Teachers’ Vigraha ascension shall continue to evade you life after life. May you all evolve and grow. May you all be rooted in your true nature. May you all experience culminate in the oneness of Shiva with Shiva within. FOLLOWING IS THE ACTUAL MAIL from an advanced TATTVA SHAKTI VIGYAAN PRACTITIONER WHO OVERCAME HIS DECADES OLD ISSUE WITH THE POWER OF CONTINUOUS SADHANA! I wanted to recount one of the experiences that happened to me 3 weeks ago. You know that my stutter causes me a lot of anxiety and despair at times. This anxiety and despair increases when there are interviews to happen. 3 weeks ago, I was appearing in a job interview, within my company here in USA. 4) I kept focusing on breath to keep my mind composed even after the meditation hours – I understood that the more I kept the mind under control throughout the day, the easier it will be to gain composure at a quick notice. I understood that there are no meditation hours and after hours. 5) I also tried to develop a sense of equanimity towards all – people up the ladder and down the ladder are but same spirits like me. This makes love flow for them and made me more comfortable. I was able to manage my speech so well that the 3 member interview panel did not know that I stutter at all – even after 1 hour of discussion! The outcome was not positive in the sense that I did not get the job, but I was very satisfied with what I was able to do. To repeat the same seems to be an uphill task, because I have to summon all my energies, will-power, concentration and Love of Guru/God to do it – but Now I know it is possible. Just sustaining it for longer period is not easy. I am extremely happy with what I was able to accomplish, to know that we have all that we need within ourselves. And that with perseverance, Guru and God by one’s side, everything is doable. Tulsidas astutely defines the character of Kali Yuga in Uttarkand in Ramcharitmanas. In this age of Kali, mental righteousness bears good while mental sins don’t bear evil. It is an amazing blessing of this yuga. Saints from Chaitanya to Prabhupada, Kabir to Raidas realized this and used nama-japa as the means to redeem themselves and many others. Yet, if we dig a little deeper – we find that for all acts of impropriety (sins), the seeds are first sown in the mind. The seeds of war are already sown in the minds of men much before they fight the most ravaging wars on physical plane. Ma Devpriya writes in her book “Tattva Shakti Vigyaan”, “It thus becomes an endless circular activity; mind controls the physical body and then physical body controls the state of mind…” This manomaya kosha is so powerful that, if left to itself, can lead to ultimate ruin. All the evil designs that ultimately lead to ruin does indeed start off as a ripple of thought in mind. We have a definite thought pattern which we carry as samskaras of previous lives. This makes it very imperative to assess the quality of one’s thoughts. The first step to improvement starts from knowing oneself intimately – and thereafter keeping a check on one’s destructive tendencies and reinforcing the constructive ones. Take a relatively routine and uneventful day to do this experiment. This is because on extraordinary days, the impressions of the day can substantially shift the normal thought process pattern of a human mind. o Sattvik – Feelings of love, compassion, joy, piety, rendering someone help etc. o Rajasik – Thoughts of activity – workplace, assignments, pending work, approaching deadlines, home chores. Impulses to engage in sense pleasures etc. o Tamasik – Impulses to hurt or cause harm, anger, apathy, deceit etc. When we repeat this experiment a few times, we will have a deeper understanding of mind. Based on what our prominent thoughts are, our mind is either predominantly sattvik, rajasik or tamasik. Vivekananda said that what comes out of our mind during such meditative phases could be so vile that it might surprise us! Mind works in myriad ways and there are many demons of previous samskaras sitting to bounce back. When we understand this mind, we will be able to control its vagaries more accurately. Awareness is the key! Niraj Mohan is a seasoned Tattva Shakti Vigyaan practitioner under the guidance and initiation of our beloved Masters, Ma Shakti and Acharya Agyaatadarshan Anand Nath ji. He has been engaged successfully in many volunteering projects of Sacred Association and carries out the role of senior editor in The Shakti Multiversity’s publication wing. Dhari Devi – The Sacred force behind Kedarnath tragedy! It has been nearly eleven years, when I, for the first time visited Dhari Devi Mandir in Srinagar, Uttarakhand. Our driver started to share stories about the temple. Many people had experienced the divinity of the place. The presence of Shakti was prevalent there. Dhari devi is one of the Shakti peeth and the deity is believed to be guardian deity of Uttarakhand. The journey towards Dhari Devi was completely intriguing filled with talks about various miracles of the goddess. Our Driver told that people come from far away places to visit the shrine and get their wishes fulfilled. When the wishes are fulfilled they come again and tie a bell in the temple. It is a way to show gratitude to Ma who takes care of all her children. Unlike most of the shakti peethas here the mandir is situated in a valley and reaching there is quite easy as we have to just climb down, which needs not much effort. But coming back is a bit tough climb. The moment we reached there, Dhari devi became Ma for me and I could feel her holy presence all around. From that very day I had a special connection with Ma Dhari Devi. The 300 MW hydel project for which the Dhari Devi had been relocated is now in ruins. Is it the first time when Devi has shown her anger on being shifted from her original abode (moolsthaan). This has happened for the second time, before this in 1882 a local king, when tried to shift the idol, a devastating landslide hit Kedarnath. Kedarnath is the abode of Shiva and when his beloved Shakti faces danger, Shiva opens his third eye of destruction. The locals have reported that Devi had given many warnings and had clearly stated that if her idol is moved there will be a calamity. The result is obvious and for all of us to contemplate. All those people who have experienced the presence of God in their life (or may be I should say all those who have accepted the presence of God in their life) can understand the relevance of the events those took place on 16 June 2013. Why did the cloud burst just after the relocation of the idol? Could we merely use the word “coincidence” and turn a blind eye towards it? Can we see such a big tragedy as an isolated event? Does believing in such incidences make us less scientific? Why are we trying to save history by protecting ruins of palaces, dargahs and tombs and turning a blind eye to something that is even older than history and by all means the foundation stone of the oldest religion on Earth. As a Shaakt, I feel pained on just ignorant acts of people, especially when they, despite their limited capacity in all domain start behaving like controller of “Prakriti”. Every Tattva Shakti Vigyaan practitioner knows that Prikriti, the divine goddess dances only to please Sadashiva. Only blessed ones who understand this secret are able to look and be with this creation with sense of awe and reverence.